Finally the time has come for the next Grand Slam event of the year – the French Open! It would be the most intriguing clay battle for the last five years. Unlike the previous events with one key question whether Nadal wins or loses, now we have two of them: will the Spaniard lose the tournament for the first time in last six years and will Novak Djokovic finish his grand slam collection and lift the title. And if we could have put an equal mark between the both statements in the past, now the situation is different. First of all, it’s unclear when the both face each other at the tournament. Secondly, there is a bunch of players who are able of shocking Nadal and Djokovic. So the draw will clear the air somehow. Nevertheless, Novak Djokovic and Rafael Nadal are the main favorites to the Roland Garros title. For our betting service Rafael Nadal is the main favorite to the grand slam title. The Spaniard went without a European clay court title prior to the start of the French Open but he showed very strong tennis. He needs to add a bit to make a final breathtaking breakthrough. Thus, in Rome Nadal was a footstep away from the outright victory but Stanislas Wawrinka displayed incredible tennis and beat the Spanish rival. So you see. Nadal has it all but for the positive outcome to date. Rafa definitely needs a series of wins to get his confidence back. But there is always one player Nadal can’t beat. If it’s not Fognini with his mad tennis than it’s Murray jumping out of his skin or Wawrinka surprising all his fans. All this reminds us of bullfighting: the rivals feel that Nadal is in good playing condition and show their career best tennis facing him. But at the French Open the picture will change. The main difference is the best of five sets format. Nadal must feel at ease as there will be enough time to rehabilitate in case of failures in course of the match. Secondly, a couple of good matches will make Rafa confident in his playing decisions and his contenders will start fearing him. As for his physical stamina, we bet that he has it enough to survive a fortnight of big tennis. The motivation is overwhelming. Rafa would rather die on court than surrender. Djokovic has won his 22 last matches. The winning series will definitely continue in Paris. The Serbian won 4! Masters showing great diversity in tennis styles: in Indian Wells he outplayed Federer, in Miami he defeated Andy Murray, in Monte-Carlo he beat Nadal, Nishikori and Ferrer in Rome. What is really important is that on all mentioned occasions Novak wasn’t strongly favored. But his team manages to think of a new strategy considering the characteristics of every single rival. Bravo, Novak! This time it would be tough for Novak to succeed on Paris courts. Judging by his performance in Rome, World No. 1 has some worries and he showed his best tennis only at some portions of the occasion. In Paris each match will last longer and will require more time to close it out victoriously. For Djokovic it’s vital to save energy. Time will show whether he manages to do this. Throughout the French Open fortnight we’ll give 10-15 tips. It’s high time to subscribe to our mailout, start cooperating with our service and win pretty good money. Shall you bet $100 each time, you’ll finish with $400-500 as we did at the time of the Australian Open championship. And don’t forget about the guarantee we offer to all our followers: we’ll keep mailing you our tips until you get +20% increase to your bankroll. Andy Murray shocked us when he won two clay titles in a row. And it sounds even more astonishing as soon as you take into account the fact it were his first victories on clay ever. The Scot showed really good tennis. Frankly speaking, it was Murray not Djokovic who surprised us most on the eve of the French Open. 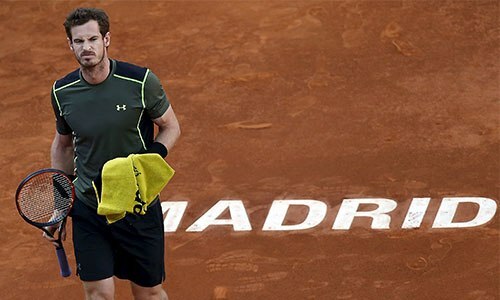 Some words should be said about Murray’s win over Nishikori in Madrid. It was one of Andy’s best matches this year to date. It’s worth mentioning that Murray was equally good on the defense and attacking sides. Shall the draw favor Murray in Paris and, let us say, Nadal will face Djokovic in quarterfinals or semifinals, the Scot will have good chances to the title. Murray has significantly improved his tactics applying additional top-spin. This element has contributed to his severe attacks reducing the number of errors. The service play has become more diverse too. Now Andy alternates tactical serves with powerful ones. And the last component which gave a lot of troubles to Nadal and Nishikori was the constant change of the baseline shots length and their velocity. We don’t know what Murray did to make such a big step forward but his latest performance was brilliant and very attractive! Kei Nishikori always thinks of something new at major occasions. With his current level of tennis Kei feels at ease on clay. The Japanese has successfully defended his Barcelona title and showed strong performance in Madrid. Yes, he followed up with some worse performance in Rome but before the French Open start Kei had one week for rest and rehabilitation. So we expect to see a fit and bright Nishikori in Paris. His high ranking position will ensure him deep progress at this event. Can he lift the title? Why not? The Japanese looked extremely good at the Australian Open championship. Let us remind you that his quest there was stopped by Stan Wawrinka who showed the most he could to ultimately lose it to Djokovic. The Japanese knows how to approach major occasions at his peak form. We bet he would wear out any of his opponents. No doubt that he’s the fourth favorite at the 2015 French Open. Stan Wawrinka can play only single matches on a decent level. The problem is that we don’t know for sure which ones exactly. Shall he manage to progress deep, he’ll pose threat to Djokovic and Nadal. Stan’s powerful and accurate shots are a big challenge for any rival. It’s very hard to find correct answers to them. Will Stan show a series of solid matches? Not now. After his thrilling five-setter loss to Djokovic in the Australian Open semifinal Wawrinka said he was “mentally completely dead” and couldn’t focus on his game properly. Something similar happened this year in Rome where Swiss No. 2 knocked out Rafael Nadal but had no battery to struggle against Roger Federer. We guess that the reason is that Wawrinka lacks that mobility and easiness that Nadal, Murray, Federer and Djokovic have in their tennis. Unlike those four who make the most of their tactical decisions and mental work, Wawrinka concentrates mainly on his aggressive service and baseline play. But as soon as he is runs out of steam he loses it. Nevertheless we don’t envy any of top players who’ll face Wawrinka in the opening round. Be it Rafa, Novak, Andy or Roger – Wawrinka doesn’t care. His tennis style lets him outplay any of them. Coached by Dani Vallverdu Tomas Berdcyh has one of his career best seasons. He has reached the Monte-Carlo final where he managed to offer resistance to Novak Djokovic. In Madrid he played on the level field with Nadal. The progress is undeniable. Yes, to date Berdych is very far from lifting the grand slam title but he can run deep into the tournament due to his high seeding. 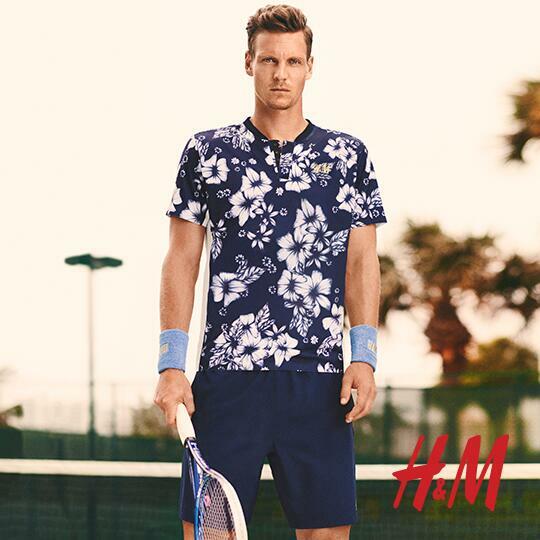 Actually Berdych could have launched a great comedy career. He has something about Adam Sandler inside him: the guy who does everything right, who is intelligent, attractive and successful enough but who can’t but get into comic situations at times. He may spill coffee on his girlfriend or muck his shows with the poo. You see? It’s all about Berdych who makes constant progress, who works hard in the gym and on courts but in the key moment he stops and suffers Adam Sandler syndrome. But Adam Sandler can’t bid to become the grand slam champion. Right? Of course, it will be interesting to watch David Ferrer playing. The Spaniard will hardly compete for the title, but the ever-young Ferrer is in good form at the moment. Going further we can’t but mention Monfils and Dimitrov. The both are used to showing strong performance in Paris and the both have displayed very decent tennis for the last two months. The US giant John Isner also feels good on the European clay courts. The American has lately honed his baseline play. Put it to his booming serve and you’ll get another pig in a poke. What will Federer and Raonic show us this time? We don’t expect much. Federer won’t survive the five-setters physically and generally his tennis on clay leaves much to be desired. As for Raonic, he is capable of shocking his fans. Clay seems to be his favorable surface. And actually we’d like to apologize to the Canadian contender. We’ve never taken seriously his tennis style, his tactics. But Milos tends to become more dangerous with every next season. Why does he prefer clay surface? The reason is that his serve here is as efficient as that of his top opponents. 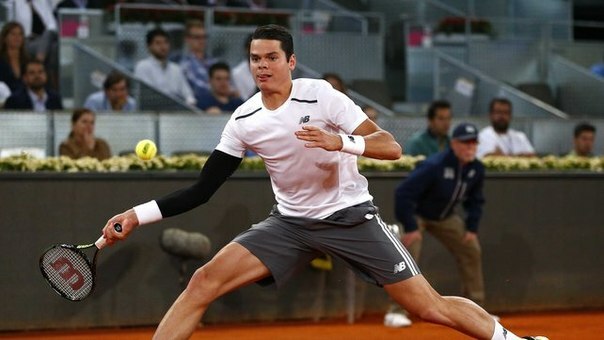 Moreover, Raonic gets more return opportunities despite his awkward technique. Slow clay offsets most of the gaps in his play and enables Milos to make greater use of his forehand. But still there are some topical problems. And the main one is that Raonic has been suffering small injuries throughout the entire clay season. We hope that he has finally treated them all. If not, he has nothing to do in Paris. So to say it will a very fascinating fortnight. And a very profitable one. During the Australian Open Championship our Dotennis service managed to increase the number of our followers by 40%. Now we hope the French Open will be even better. Join us! Subscribe to our tips!